This show originally went out in May 2018 but we wanted to drop it in as our first bonus show for 2 reasons. 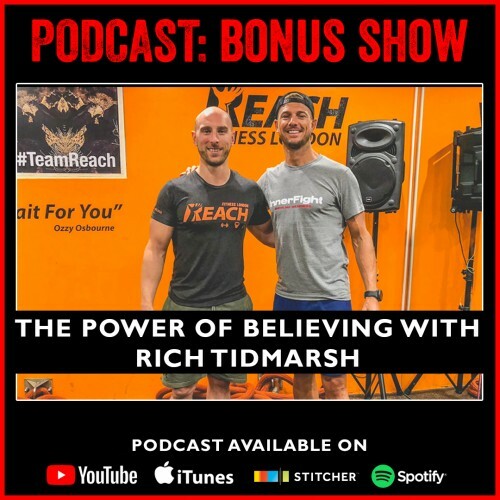 The first is that Rich is a legend of a guy and it is an amazing show, we also wanted to congratulate Rich as he opens his second location of Reach Fitness in London and we thought this would be a great way to do it. If you listened to this show the first time around you will have been infected with Rich’s positive and “can do” attitude to life. We hope that you have been following him on his journey since then and if you have you will have seen all the things Rich spoke about in this show reign true in his life. It’s that hard work and passion that Rich talks about in this show which now sees him opening his second gym in London and generally continuing to win at life. Thanks for the talk the fist time round Rich and we hope everyone enjoys it again here. Tune in above or on iTunes now. You can also watch it below. If you have a question for the coaches mail us right now and let’s get it answered for you. Thanks for tuning in we hope you enjoy the show! Smith St Paleo is our show sponsor, check out loads of delicious recipes here! #456: Ed Haynes. CrossFit Coach & Founder of Coastal Fitness HK. Podcast 230 LISTEN NOW: WHAT DOES CREATINE DO TO YOUR BODY? #519: Strength at InnerFight. Episode 3 in the “Getting Stronger” series.